For our gut renovation of their offices in New York City, an advertising client sought a departure from some of the recent build-outs we had been doing for them. We designed their Cincinnati and Atlanta offices in accordance with their existing standards; these spaces are highly standardized, but easily tailored to the unique requirements and cultures of the many ad agencies under their umbrella. 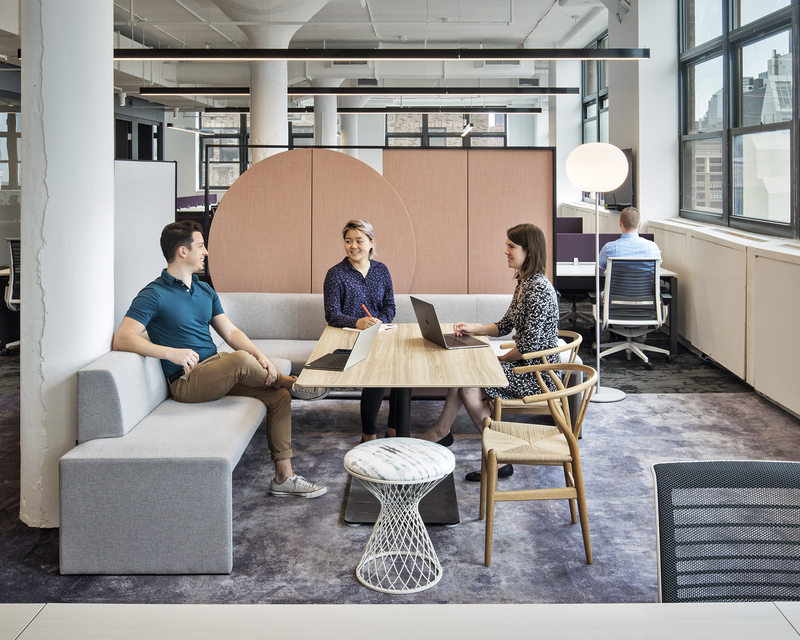 In contrast, the New York office features an eclectic design and a moody and sophisticated palette that reflects the urban hustle of its surroundings in lower Manhattan. 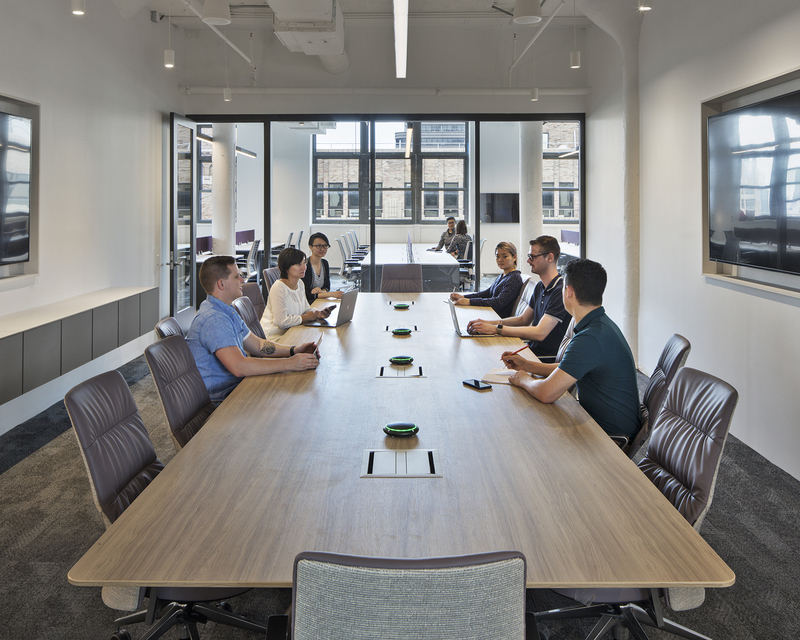 The open office space is sprinkled with collaboration areas, with each designed to be completely unique in terms of both furniture and materials, so a person will constantly encounter new and different kinds of spaces as they walk through the office.